The LP from Version 5 entitled Take You There is a compact trio of songs that are all equally rich in musical quality and artistic expression. If one were to judge the genre of this music just from the first track, Why Don’t You Drop, the ruling would come in somewhere between industrial rock and hard electronica. The track starts with a beefy, dirty guitar riff that segues into a string of verses that are equally as gritty. The chorus is a strong, melodic chant about being impassioned and acting out of frustration. There are some strangely haunting accentuations in this track and the overall mood is one of energetic anger bordering on recklessness. There’s plenty of 16th note rhythm guitar that smacks of Nine Inch Nails or Gravity Kills. This first song is a pumped up, fitting entre’ to the LP. Bury You is the second track on this release, and if you were hoping for something fast and dangerous, this one’s for you. The bass drum on this track gets more attention than pretty much any other instrument, but it doesn’t saturate the song too much to make it sound sloppy. There’s a lot to like about this track, but one criticism about this song is its overuse of the delay effect during the chorus. It’s applied to both the vocals and the guitar, and the repetitions end up cutting into each other, muddying the sound of the song. But this is a kind of afterthought that comes from listening to what is a very good song nonetheless, even if you’re a stickler for overproduction. The lyrics on Bury You deal with some fairly heavy subject matter including death and religion. After all, the track’s title sort of prepares you for a fair shake of gravitas. Moving into the final, title track, Take You There, we’re treated to a departure from the first two tracks. That is, at least as far as the pre-chorus is concerned. It’s here where the vocals take the spotlight and every other instrument is pulled back to reveal a sadly sweet introduction to the chorus which is itself a strong, forceful few measures of power and boldness. There is a synergy between the rhythm guitar and the lyrics which any fan of bands like Fear Factory and Chevelle will appreciate. It’s very easy to make industrial rock songs that sound like every other industrial rock song, but Version 5 does what they do in a way that is unique, aggressive and true to the roots of this style of music. Even though this ‘album’ consists of only three songs, they’re all quality offerings. There isn’t any point during listening to these songs when you have time to get bored of the band’s sound or the song melody. There’s enough complexity in the bass, guitar and drums that you’re never really left wanting. Distortion, compression and reverb are all used with at least some discretion, with the exception of the chorus on Bury You, as mentioned above. Granting that, the LP Take You There from Version 5 is of sufficient quality to warrant a serious listen. 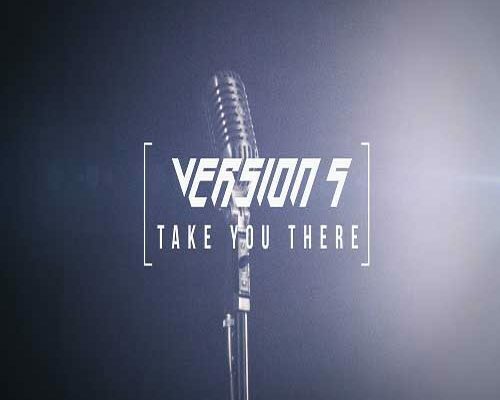 Check out Version 5’s official site by clicking here where you can hear the EP. If you like what you hear, give them a like on Facebook by clicking here & a follow on Twitter by clicking here.